Google has announced many, many things in the last few days, and one of them was Live Albums in Google Photos. That feature is rolling out now in the latest version of the Photos app. With Live Albums, you can leverage Google's machine learning prowess to automatically add photos of people and pets to a custom album. You can get an overview of Live Albums in Google's blog post from the other day. The gist is simply that you make a new album, tell Google who you want to be included, and let it take over. You can choose any mix of people and pets you want, based on Google's ability to recognize faces. It will show you both named and unnamed individuals, and will also suggest merging different stacks of images if it thinks they might be the same person/pet. 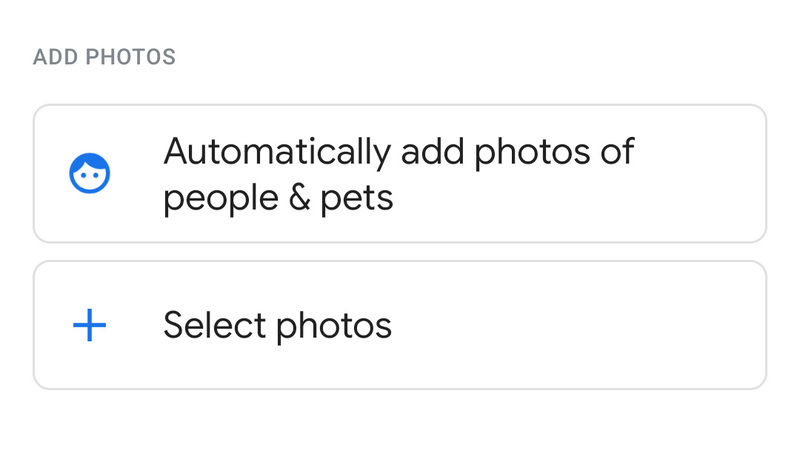 Google Photos will continue adding new images as you take them, and you can choose to get notifications when that happens. The album includes all the same sharing controls as normal albums, so you can invite other Photos users to see your images as they're uploaded. This feature is listed in the latest Photos changelog, but it's not working for everyone (for the record, I do see it). Install the new version from APK Mirror, and you may see the option in album creation.